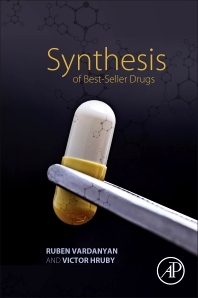 Synthesis of Best-Seller Drugs is a key reference guide for all those involved with the design, development, and use of the best-selling drugs. Designed for ease of use, this book provides detailed information on the most popular drugs, using a practical layout arranged according to drug type. Each chapter reviews the main drugs in each of nearly 40 key therapeutic areas, also examining their classification, novel structural features, models of action, and synthesis. Of high interest to all those who work in the captivating areas of biologically active compounds and medicinal drug synthesis, in particular medicinal chemists, biochemists, and pharmacologists, the book aims to support current research efforts, while also encouraging future developments in this important field. I had a quick look at Chapter 3. Section 3.1 Non-Steroidal Anti-inflammatory drugs. I found it helpful, vivid, with useful references. I certainly recommend to a friend to buy this book.